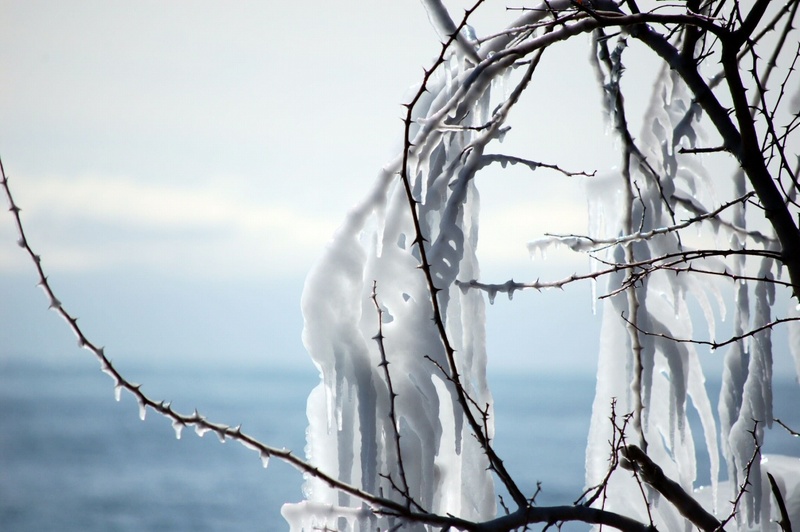 The Toronto Island isn’t generally thought of as a winter-time destination, but as counter-evidence I offer this: a walk along the sea wall, where waves pound up high enough to coat the branches of the leafless trees permanently in ice–and if you stand too close to the water, you’ll get a faceful. All right, it’s true: trees, open spaces, lakes or rivers, birds… I’m easily pleased. But it was gorgeous. I’ve always thought that the Toronto Islands would make a great golf course!